Robert Dumas, President of Sun Life Financial, QuÃ©bec, was named “2017 Financial Personality of the Year” by Finance et Investissement newspaper. He also took the number one spot in the Top 25 ranking of QuÃ©bec's financial sector in 2017. “Robert Dumas is both a high calibre manager and quality individual. He is well regarded everywhere and is very influential in the industry; a true gentleman in the business world. He is highly involved in his community and his business is growing nicely,” noted the Top 25 jury. From 2012 to 2016, Sun Life Financial effectively increased its market share of direct premiums written in QuÃ©bec from 11.8% to 15.1%. Its market share for individual insurance grew by 1.7 percentage point during the same period, to reach $646M in direct premiums written in 2016. In group annuities, QuÃ©bec market share climbed by 26.7 percentage points during the same period, to reach $701M in direct premiums written. Personal Insurers: Robert Dumas, President of Sun Life Financial, QuÃ©bec. National Financial Institutions: Guy Cormier, President and Chief Executive Officer, Desjardins Group. Full-service Brokers: Martin Lavigne, President at National Bank Financial, Wealth Management. 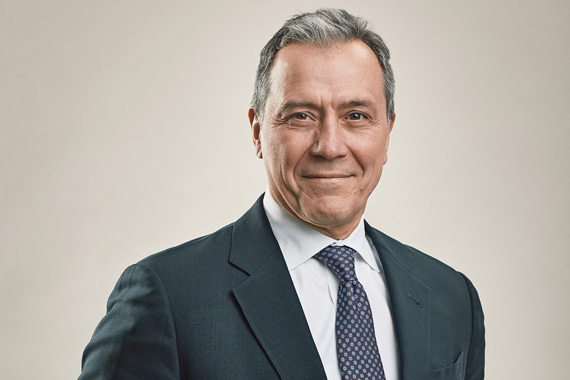 Multidisciplinary Firms: Gilles Cloutier, President and Founder, Groupe Cloutier. Independent Management Companies: Robert Beauregard, Co-founder and Chief Investment Officer, Global Alpha. A jury composed of seven members of QuÃ©bec's financial sector selected the Top 25 finalists: Richard Fortier, corporate director and President of the jury; GeneviÃ¨ve Blouin, President and Founder of Altervest, and Chair of the Emerging Managers' Board; StÃ©phane Dulude, executive, President of SFL from January to December 2016; Richard Gagnon, corporate director and advisor, President and Chief Executive Officer of Humania Assurance from 2003 to 2017; Richard Joly, President of Leaders &amp; Cie; Jean Morissette, consultant; Guillaume Poulin-Goyer, Content Manager, Finance et Investissement. Finance et Investissement also recognized the outstanding work and dedication of three advisors from QuÃ©bec's financial sector. Guillaume Parent, President of Finandicap and mutual fund representative at PEAK Financial Group, is the winner in the Multidisciplinary Advisor category. Mireille Rondy, Branch Manager, Investment Advisor and Portfolio Manager at PEAK Securities, won in the Investment Advisor category. Finally, Michel-Olivier Marcoux, President of Gestion de patrimoine ASF, a firm that is partnered with MICA Capital for its mutual fund services, is the winner in the Top under 40 category. A jury of influential members of the financial sector selected the winners of Les conseillers Ã l'honneur! 2018 competition: Jocelyne Houle-LeSarge, President, CEO, and Secretary of the Institut quÃ©bÃ©cois de planification financiÃ¨re (IQPF) and President of the jury; StÃ©phane Blanchette, Chair of the Board of the Conseil des fonds d'investissement du QuÃ©bec (CFIQ) and Vice President, Finance and Operations, at Investia Financial Services; FrÃ©dÃ©rick Chenel, President of CFA MontrÃ©al, and Vice President, Consultant Relations and Business Development, Institutional Markets at Fiera Capital; Lyne Duhaime, QuÃ©bec President for the Canadian Life and Health Insurance Association; Sara Gilbert, Coach and Founder of Strategist(e), columnist for Finance et Investissement's Zone experts; Philippe GrÃ©goire, Professor in the Finance, Insurance and Real Estate Department of the Faculty of Business Administration at UniversitÃ© Laval, holder of the Industrial-Alliance Chair in Insurance and Financial Services; LÃ©onie Laflamme-Savoie, Senior Content Manager at Finance et Investissement. The awards were presented at the 2017 Financial Personality of the Year event on February 6, 2018, at the Windsor in MontrÃ©al. Finance et Investissement and the finance-investissement.com website are a source of information for QuÃ©bec investment and financial services professionals. Owned by TC Media, Finance et Investissement is published 16 times a year and is read by over 30,000 industry professionals. TC Media, which employs over 600 people, is a leader in its specialty media segments in Canada, with flagship brands catering to the business, financial and construction sectors, including an event planning component. TC Media is also positioned as Canada's largest publisher of French-language educational resources. Furthermore, TC Media publishes local and regional multiplatform newspapers in QuÃ©bec and Ontario.